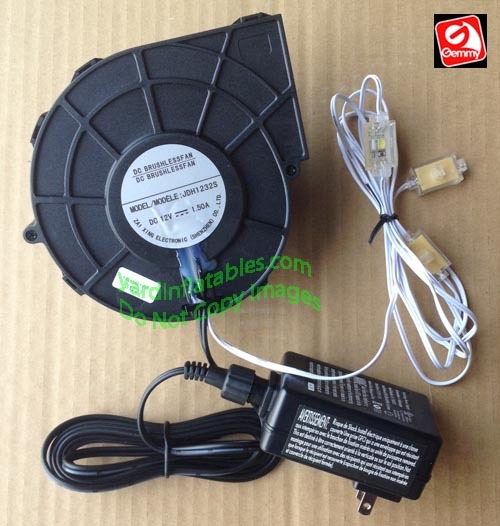 Gemmy Replacement 1.5amp Fan With 12v 1.5amp Adapter! Please allow 1-2 additional business days for shipping if this item is on your order. This motor inflates 7'-8' inflatables using Low Voltage Fans. 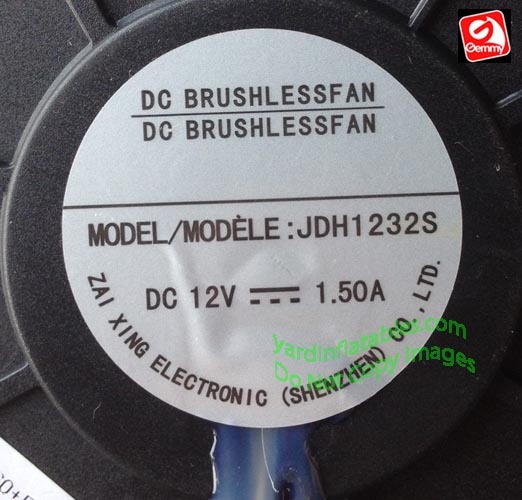 It is Up to you to check the specifications on your fan to see if it is a match ! There will be no returns for a fan that does not fit or have enough power!! The Light String is approx. 6' long with 3 super bright LED lights. 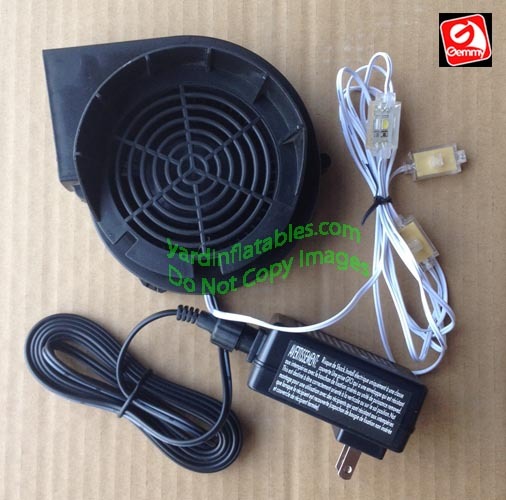 This fan was Use on some Inflatable Images NCAA and NFL Mascots and Players along with other manufacturers inflatables. Check your fan before purchasing! You can either, leave the lights lay in the bottom, or safety pin them to now have a glowing, night time inflatable !!! This is ALL the information we have about this fan. If your fan still works but does not blow up the inflatable tight, usually the fan is not the problem. What happens is, over time, the fabric gets more porous and allows the air to escape naturally through the fabric. We have not found a way to seal the fabric and a new fan does not remedy the problem. 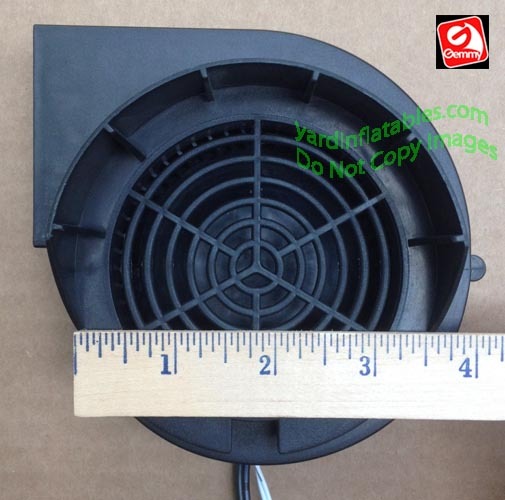 Yard Inflatables Inc. will not Responsible for any damage due to improper wireing or any other modification to this fan once it leaves our warehouse!